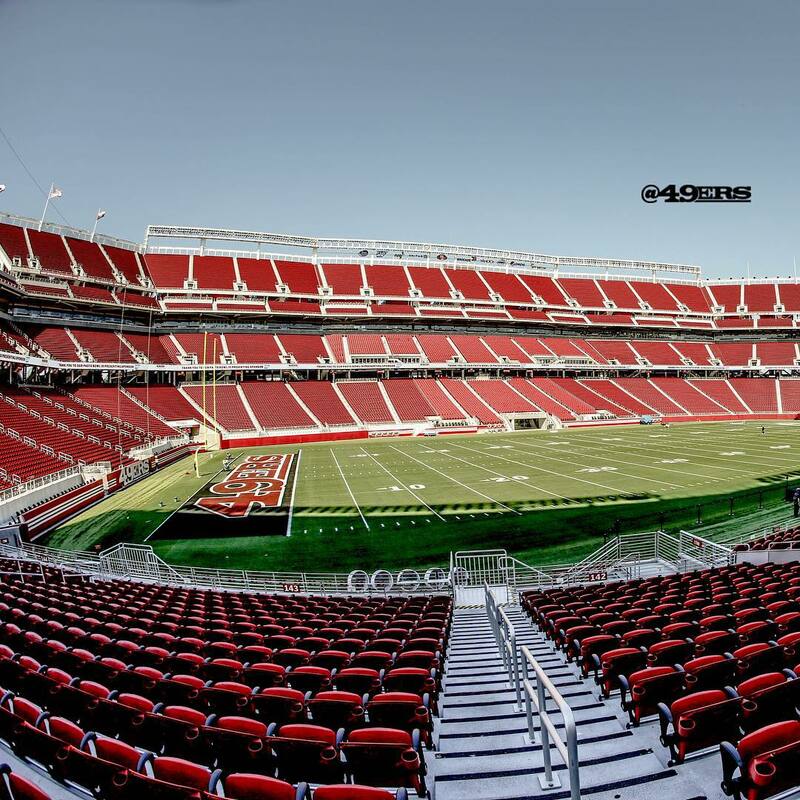 Via the 49ers’ Instagram.Over the weekend, the 49ers have been going to Levi’s Stadium for practices and one of the newest additions to the stadium are the black end zones. This comes after the 49ers revealed in the spring that they are adding an all-black uniform set. This is clearly a marketing ploy and in order to make it work, they are making the end zones black for the first time ever. The 49ers as a team has never heavily emphasized black. For their entire history, it’s been reserved as the trim to their logo or simply used as dropshadows for the numbres on the uniform. That’s really it. But now that they’ve made black a part of their identity as an alternate, we have this. I personally think that this idea works for a team starting fresh. But for a team with so much history, forcing black into the identity is too much. This entry was posted in NFL, On-field designs, San Francisco 49ers, Uniforms & Design and tagged Black, End Zones. Bookmark the permalink.